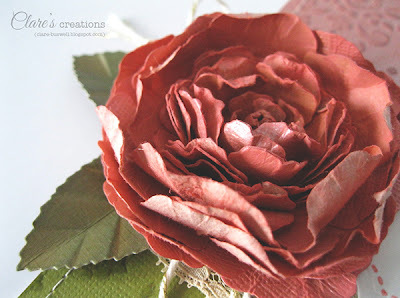 I've a card to share using one of the Shabby Roses I made, here's the tutorial link. 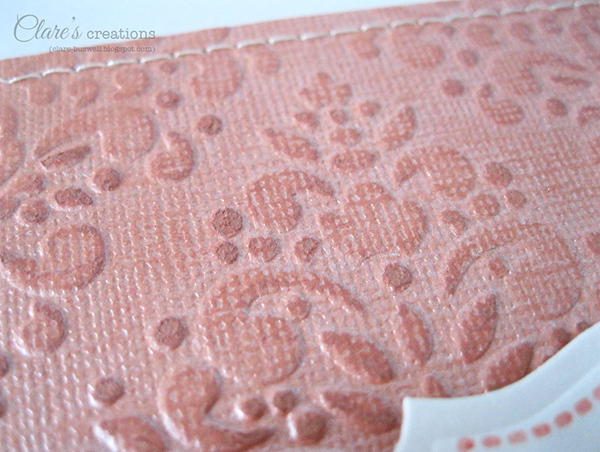 There's lots of texture going on here, including some dry and heat embossing. The top half of the card (peach Core'dinations Gemstones cardstock) I embossed using the Baroque Sizzix embossing folder, then I lightly sanded the surface and inked with Victorian Velvet Distress ink. The label (Spellbinders Labels 25) is stamped using Vintage Labels 25 from Waltzingmouse Stamps, I used Worn Lipstick Distress Marker to ink the stamp. 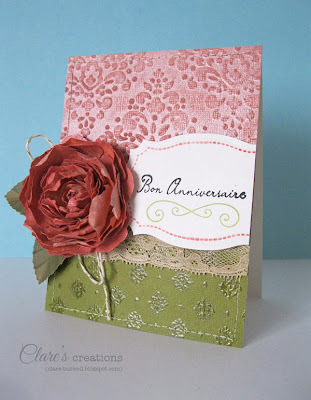 The green (VersaMagic Tea Leaves) swirl under the sentiment is from Vintage Banners from Waltzingmouse Stamps. 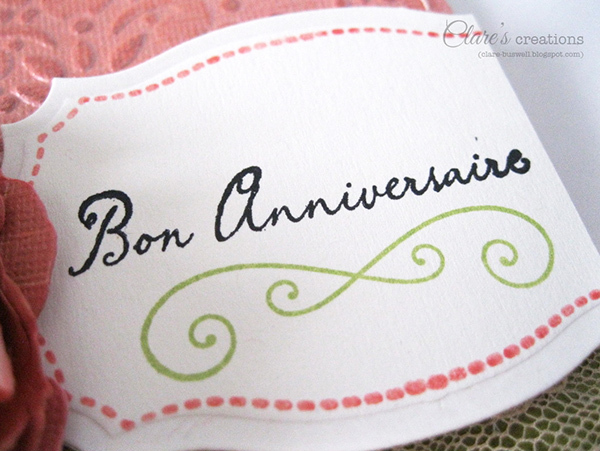 The french birthday sentiment is from the French Country stamp set. For the bottom section of the card I clear embossed one of the gorgeous motif borders from French Country from Waltzingmouse Stamps. 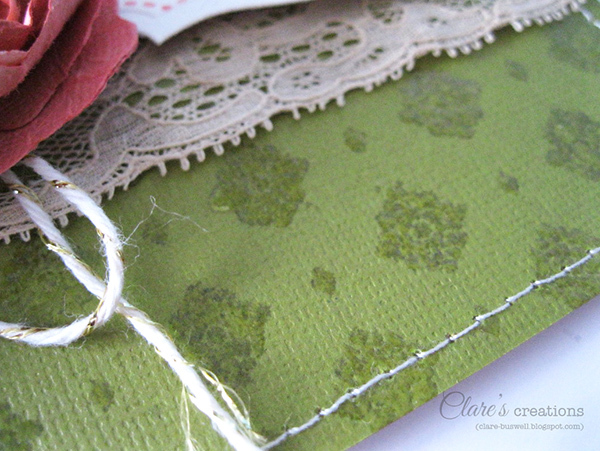 The green cardstock is from the Tim Holtz Kraft Core Nostalgic Collection from Core'dinations.